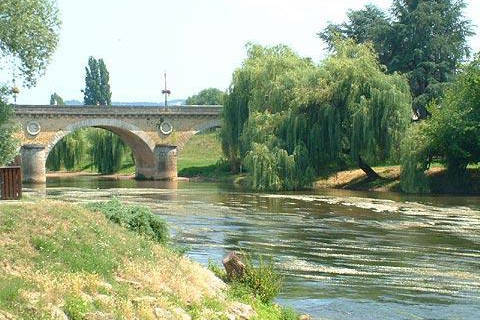 Le Bugue is a small market town on the Vezere River, between Limeuil (where the Dordogne river meets the Vezere), and Les Eyzies. The town is very well placed in the centre of many of the highlights of the Dordogne region, and has some interesting highlights of its own to discover. Exploring Le Bugue itself is straightforward - the centre is based around the river and bridge, and the open area at the end of the bridge. The bridge is an important crossing point across the river so the centre of the town does have quite a lot of traffic through it in high season. Take a stroll across the bridge and along the river banks, then take a look at the Church of Saint-Sulpice and the Town Hall. 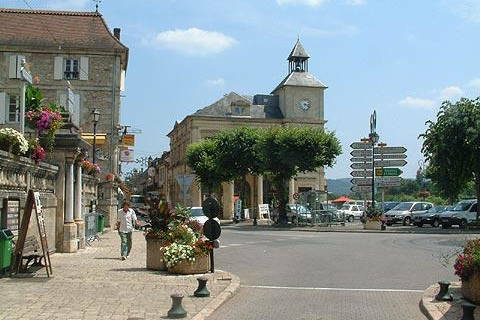 There are also several shops and cafes in the centre of the village, and some traditional houses in the yellow stone of the Dordogne region. The town's main role is as a central hub for exploring the many highlights of the area, both natural and man-made, so your first port of call should be the Le Bugue Tourist Office at 23 Rue du Jardin Public for information about local events and attractions at the time of your visit. There are many caves along the Vezere Valley (a UNESCO listed heritage site) which runs to the north-east of le Bugue, both natural and with prehistoric paintings. Among the caves closest to Le Bugue are the Bara-Bahua caves, known for their prehistoric engravings and the Gouffre de Proumeyssac, a very large cave of stalactites and stalagmites. The scenery of the surrounding region is another highlight, the Dordogne having some of the most impressive scenery in France. Be sure to visit the Cingle de Tremolat for views across a large meander in the Dordogne river. 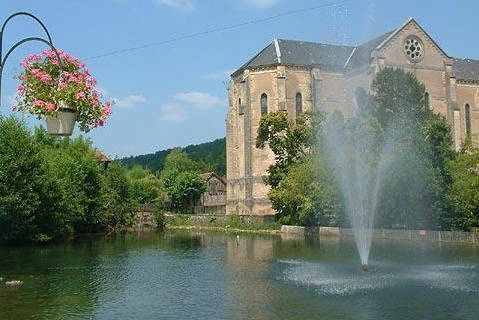 There is a very popular Aquarium (the Aquarium du Perigord Noir) at Le Bugue if you want to escape from prehistoric man for a short while - he does tend to rather dominate the whole Vezere Valley! Also popular is the Village de Bournat, a recreation of a prehistoric village, where you can watch traditional crafts being practiced. You can also see wild boars at the nearby Les Sangliers de Mortemart (and taste sanglier at many of the restaurants in the region). There are numerous small towns and villages of interest in the region. Among the less known that you should include in your plans if possible are Campagne (to the south-east), and the abbey and church at Paunat and Audrix respectively.